How can Swedish marketing departments get the best results from their marketing technology investments? And how do Swedish marketing directors use martech (marketing technology)? This and more is described in the report Martech Sverige 2017, published in late 2017. The report investigates the Swedish martech scene and is based on in-depth interviews with marketing managers in Sweden. The report is published by SMARTECH, the organization Swedish Martech, which is a cooperation between Wiraya and Odyssey. 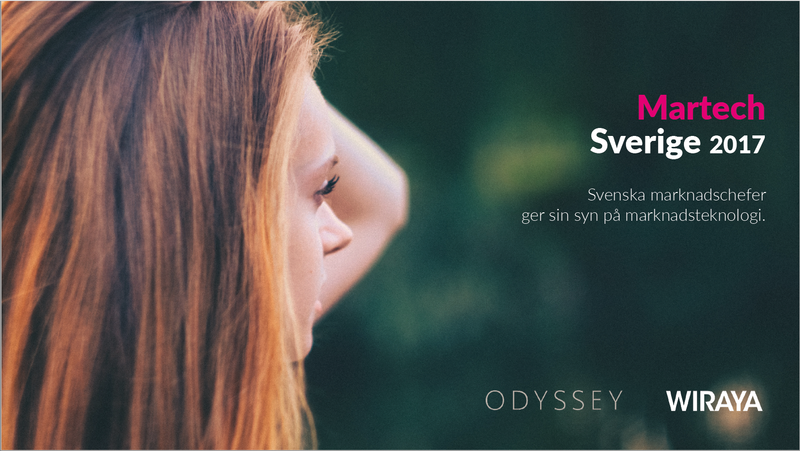 On March 13, Charlotte Banning, CMO at Wiraya and Cecilia Hjertzell, Head of Strategy at Odyssey, will present the study at a breakfast seminar hosted by SWEDMA. You find the full report (in Swedish and soon in English) and more information about SMARTECH at smartech.se.